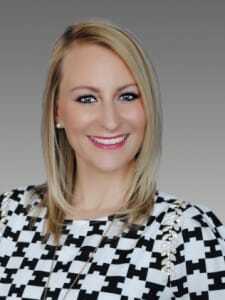 Orlando, FL – June 22, 2015 – Gilbane Building Company, a global leader in construction services, announced that Mackenzie Carolan has joined the Orlando, FL office as Business Development Manager. She will have a focus on Business Development throughout Central Florida including education, healthcare, public and commercial corporate projects. Carolan, brings broad marketing and business development experience to her role with an ability to identify potential business opportunities and drive business expansion through sales initiatives. Prior to joining Gilbane, Carolan was Business Development Manager/Proposal Manager at Hensel Phelps. Active in the community, Carolan serves on the Board of Directors for Commercial Real Estate Women (CREW) and participates in other local professional organizations including Associated Builders and Contractors (ABC) and Society of Marketing Professional Services (SMPS) Ronald McDonald House Charities, and the City of Orlando Historic Preservation Board. Carolan holds a B.S.B.A. in Marketing, Entrepreneurship from University of Florida – Warrington College of Business. Gilbane provides a full slate of construction and facilities-related services – from pre-construction planning and integrated consulting capabilities to comprehensive construction management, close-out and facility management services – for clients across various markets. Founded in 1873 and still a privately held, family-owned company, Gilbane has more than 50 office locations around the world. For more information, visit www.gilbaneco.com. Gilbane is an industry leader in the state of Florida with a reputation for quality construction and client satisfaction. The company has been providing construction management services in Orlando since 1972, managing office buildings, institutional projects, commercial, public assembly/sports, healthcare, data centers, higher educational, medical office, industrial, government and multi-family developments. Gilbane has worked with some of the area’s major organizations including the University of Central Florida, Orlando Health, Orange County Public Schools, AIG, Florida Department of Management Services, Greater Orlando Aviation Authority, Orange County Convention Center, Marriott, and School District of Osceola County.